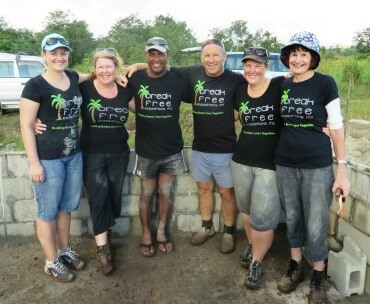 Volunteerbuild is the new trading name for Break Free Expeditions, and was founded by Diana Judge in 2008. Prior to this Diana was CEO of Global Tribe, the aid organization for the US based, #1 Christian touring band, newsboys. During 2007, Diana helped raise over US$1.0m in aid to help the plight of the poor, as well as leading teams to build 5 homes and 2 school classrooms in Mexico. Prior to this, Diana held a number of senior global and regional executive roles with Royal Dutch Shell subsidiaries in New Zealand, Australia, the Asia Pacific Region and the United States. She also brings management experience from the finance and commercial construction industries, and serves as a director on several private company boards. 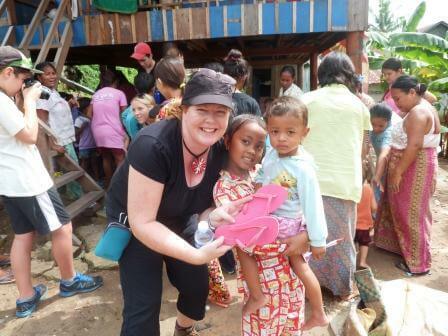 Passionate about helping people escape from the plight of poverty, Diana brings her wide corporate and international travel experience, along with hands on aid work to Volunteer Build. Diana currently resides in Papamoa Beach, New Zealand. Volunteerbuild was set up to provide cost-effective travel options connecting people with poverty projects around the world. If you have ever felt you wanted to do more to help the worlds poor than donate money, then Volunteerbuild is for you! We give you the opportunity to help break the cycle of poverty first hand by actually hammering in the nails of a new home and feeding the hungry. You just need a willingness to help as no build experience is required. Where we build homes for the poor in the slums of Tijuana on the Baja Peninsula. Where we undertake cyclone relief to build homes, cyclone evacuation centres and classrooms for the poor and homeless. Where we partner with Fuller Centre for Housing to build for the poor. Where we partnered with TEAR FUND at Watoto Children’s Village to build a school classroom and look after orphaned babies at Baby Watoto. Where we partnered with Orphans Aid International to assist with running a Summer Camp for children living in Russian orphanages and foster care.